LOSC Lille are keen to recruit Arsenal striker Yaya Sanogo on a season-long loan according to the Standard. The French striker has struggled to assert himself at the Emirates Stadium since moving to North London from Auxerre in 2013. The forward has only made 11 league appearances for the Gunners, without scoring a goal, while he spent the second half of least season on loan at Crystal Palace. Again, he failed to find the net for Alan Pardew’s side in the Premier League, and he has done little to suggest that he is ready for the top flight. With Theo Walcott, Olivier Giroud, Alexis Sanchez and Danny Welbeck all ahead of him in the hierarchy at the Emirates Stadium, it looks unlikely that Sanogo will break into the fold at the North London club anytime soon. Arsenal have also been linked with Mario Mandzukic [Metro], Edin Dzeko [Express] and Edinson Cavani [Express], as he looks to forge an offensive line that can challenge for the EPL title. A move to France may represent the best way for the 22-year-old to find his feet in the game and to rediscover his form. Lille appointed former Cote d’Ivoire coach Herve Renard at the end of the season, as the two-time Africa Cup of Nations-winning coach called time on his brief, successful spell with the Elephants. The new man—who formerly managed Sochaux in Ligue 1—is keen to enforce his offensive options, and as well as Sanogo, has also been linked heavily to FC Lorient forward Jordan Ayew [L’Equipe]. 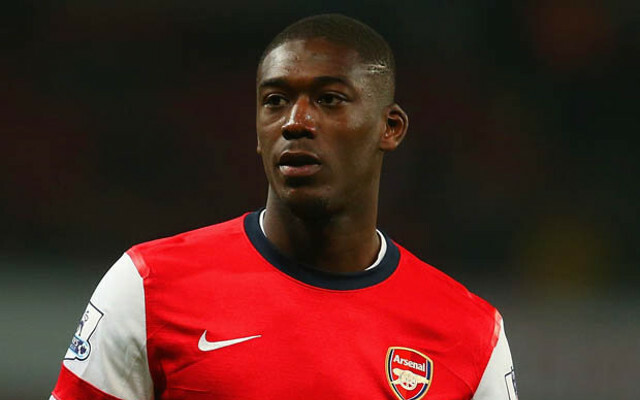 Sanogo has featured from France at various youth levels from U16 to U21, although he looks no closer to making his senior international debut. The forward is also eligible for the Cote d’Ivoire, and may well opt to represent the West African nation in the future.